Stainless steel appliances have a sleek look until they are covered with fingerprints and streaks. If your house is anything like mine, they are covered in the latter more than they have that sleek showroom look. We recently bought a new refrigerator and I thought that my favorite stainless steel cleaner was perfect for all of my appliances until I grabbed it and tried to clean the new refrigerator. Epic fail. Streaks galore. So this had me wondering about the best way to clean stainless steel appliances and what the best products are to use. First of all, different companies use different grades and types of stainless steel which may need to be cleaned differently or may work better with different brands of cleaners. I can attest to this in my home because different products work on each stainless appliance. This is why I set out to find something that worked on all of my appliances. 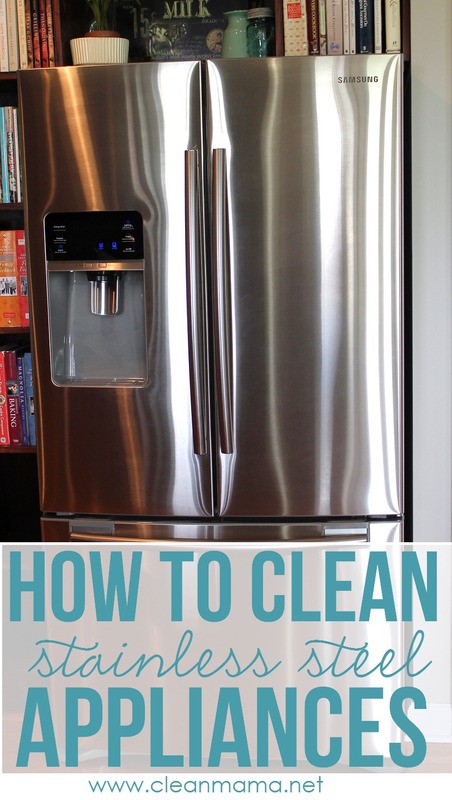 What’s the best way to clean stainless steel appliances? Apply to a microfiber cloth and clean quickly. Don’t let the cleaner dry on the stainless before buffing it in to the surface. I recommend using a microfiber cloth that is designed to be used on stainless steel. This is my favorite one from Casabella. 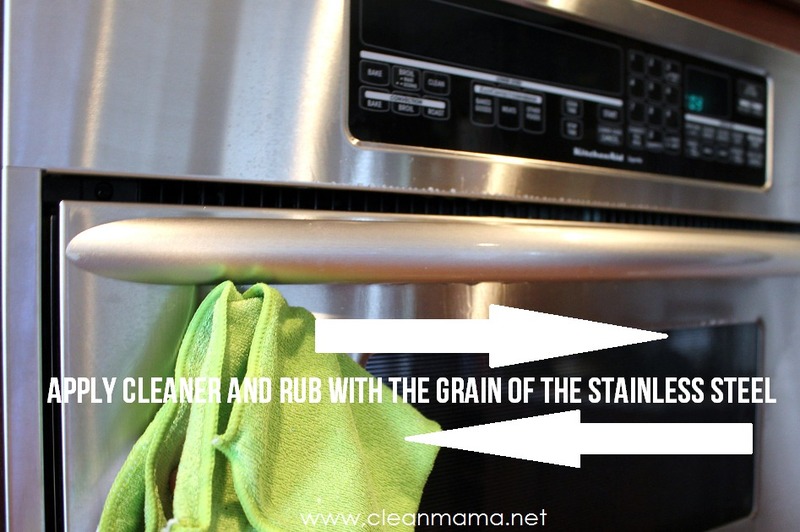 When applying cleaner you need to wipe your cloth in the direction of the grain of the stainless steel. This is because dirt can get trapped in the grain of the stainless and it will be and appear much cleaner this way. Find a product or method that works on YOUR stainless steel appliances. I’ve found 4 products that work the best on my three different brands of stainless steel appliances. 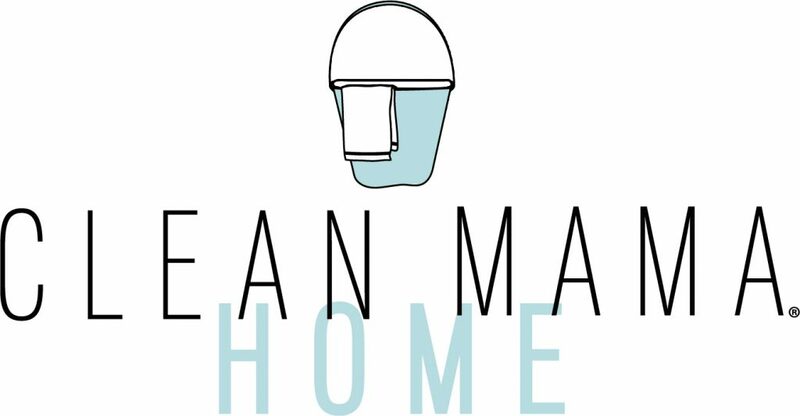 For my appliances the Weiman cleaner and polish works the very best on all of my appliances. YOU ALREADY HAVE IT – White Vinegar – apply directly to cloth and wipe in the direction of the grain of the stainless steel and clean with microfiber cloth. CLEANER AND POLISH – Weiman Stainless Steel Cleaner and Polish – spray on cloth or appliances and wipe in the direction of the grain of the stainless steel and clean with microfiber cloth. Buff with a clean, dry cloth. PRE-MIXED NATURAL CLEANER – Seventh Generation Stainless Steel Cleaner – spray on cloth or appliances and wipe in the direction of the grain of the stainless steel and clean with microfiber cloth. CLEANING CONCENTRATE – Branch Basics mix up 100:1 – spray on cloth or appliances and wipe in the direction of the grain of the stainless steel and clean with microfiber cloth. club soda – spray directly on appliances and wipe in the direction of the grain of the the stainless steel and clean with microfiber cloth. olive or baby oil – apply to a cloth and wipe on already clean appliance to buff and protect against fingerprints and smudges. window spray – some swear by this technique – if you can’t get your stainless clean you might want to try this. I think I have the Weiman in convenient wipe packs (kind of looks like your lysol wipes) and they work FANTASTIC on all my appliances!!!!! Thanks for these tips, I was wondering the same thing when I first got my stainless steel appliances. I rarely find a specialty product that I promote, but the Weiman Stainless Steel cleaner is by far the best product I’ve used on stainless. And for some reason, the non-aerosol spray works better than the other forms. The best thing I have found to clean my stainless steel is Norwex microfiber polishing cloth. It’s got silver right in the weave so is antibacterial, and all you need is a bit of water. Works like a charm on windows and mirrors too. Headed to Target to get the Weiman cleaner. I’ve tried four different stainless steel cleaners without success. Hoping this will work! 🙂 Thank you for posting! Love Dr. Bronner’s – I’ll have to try that – great tip! This is the only thing that worked for me!!!! Thank so much!!! Thanks for the Dr. Bronner’s tip. When I clean my Samsung fridge with oil based products like Weimen’s Stainless Steel cleaner (Mineral oil is the base I think), it looks good for a few days but eventually the oil turns slightly brown and looks streaked. I was trying vinegar and alcohol to get the oil build up off and it was taking a lot of elbow grease and always leaving a little bit behind. I know I could always oil it up again to make it look good for a few days but I wanted the build up off first. A tiny bit of Dr. Bronner’s on a slightly wet microfiber cloth wiped everywhere and then buffed off with a clean microfiber cloth brought it back to it’s oil free non-streaked condition. The fridge looks brand new and took almost no rubbing. I was buying Dr. Bronners to make liquid had soap for a dispensor, now I’ll use it to clean more things. Try it on your stainless appliances. It’s non acidic and non abrasive, so it’s probably one of the safest cleaners to use and suprisingly it works like a charm. No elbow grease needed for a perfectly clean shine without oil. This post is great. Do you have any recommendations to remove spots? Our housekeeper sprayed something on our stainless steel fridge a year ago and it left spots and streaks that will not come out. Any suggestions would be appreciated. 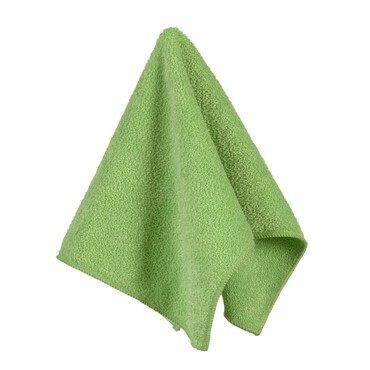 Try the microfiber cloth with some polish – do you know what she sprayed? Mix baking soda with some dish washing detergent. It works wonders on those funny looking spots. I had the same problem with a house I bought last year. I just tried this last week and was very happy. The spots are gone and the shine was amazing. I use Pledge Dust and Allergen. Makes my appliances “shine”. Great tip Pam W and it works better than any thing else I’ve tried!!! Windex works great on my fridge, but not on my other stainless appliances. It is a terrific disinfectant and it also works on stainless steel too. I use alcohol, vinegar and distilled water for 90% of my cleaning. Its all you really need. I have stainless appliances, all the same manufacturer, but purchased 2 years apart so they must have different types of stainless steel. My stove and microwave clean up great, but my refrigerator is resistant to just about everything. I have tried several different stainless steel cleaners but the only one that seems to work is the weiman. I have spots all over the bottom (freezer drawer) and cannot get rid of them. The Weiman cleaner makes them less noticeable, but nothing I have tried has removed them. Not sure what the spots are from except maybe water since it is right next to the sink. I had the same problem. Ever since I got my new stainless steel refrigerator, my bottom freezer door has had marks. Streaks, blotchy,…drives me crazy ! I tried stainless steel cleaners, they don’t work. I was cleaning my glass top stove tonight with the cleaner for that purpose. I decided to try a small spot on the fridge, and liked the results. It took a while, because I thing the commercial cleaners leave a build up. Hopefully, I got the build up off. When I traced a finger down the finished area, I didn’t have a fingerprint like I usually do.. Hope it works for you ! Oh Yes … It appears we are up all night stressing over stainless steel appliances! Well I was at my wiits end. I had purchased all brand new (Top of the line) appliances while we were completely re-habbing a delapilatef shack we purchased! ???? Everything was going pretty good until I fell through the floor and broke my Jonesbone! What I thought was a break to a little bone in my foot kept me in a cast and off my foot for 9 months. I was just getting moving again and my boyfriend screwed up his rotator cuff and had to have surgery. Because we are the construction crew, my appliances sat in a corner just like they came from the factory with shrink wrap plastic on them, still in their boxes for more than 2 years including our recovery time and the time that it took us to put down new floors and drywall in kitchen area along with new wiring, plumbing. windows and kitchen cabinets! I was so happy the day we were getting ready to move the appliances into place! My heart sink when I saw my appliances! The refrigerator was the worst; it had what looked like nickel sized water spots all over it! We now assume the shrink wrap did more harm than good! Our thought is that the appliances were sweating under the plastic since the houses in South Florida would surely get well over 100 degrees at times lwhen we were not here! Then add a dirty construction site! ???? I had tried all the professional brands trying to clean them up to no avail. I’ started watching you-tube videos and reading blog’s months ago trying to find someone with the answer to cleaning up these appliances! I managed to make some pretty good messes but nothing I tried managed to get my appliances to look any better. It has been more than 6 months now and my boyfriend of 9 years must have had it with me and my appliances because he offered to pay someone to come in and try to get them cleaned up! So here I was on the computer again in a last-ditch effort before hiring someone to try cleaning them up. I came upon your message after trying many others and am glad I don’t give up easy! My glass top on my stove is the only thing that was spotless … so I got my Weiman cleaner out and started with a little spot on the bottom of my refrigerator … somewhat worried I could end up damaging the stainess on top of it all. After a very small section I could see it was taking off the marks! It did not take long however and my micro fiber rags were black and the refridgetator had a haze like film on it. So, I had some Zep stainless steel cleaner and sprayed it on what was beginning to be a hazey looking refrigerator and took an old soft towel and buffed it dry! I couldn’t believe it … for the first time since purchasing them it was starting to look new! I continued with the dirty looking microfiber rags and finished buy buffing it out with some stainless steel cleaner and it looks fabulous! I tested the other appliances and they also are cleaning up very well. They will have to wait until tomorrow however after I have gotten some rest! 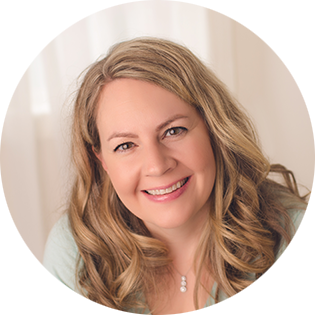 I just wanted to tell you how deeply grateful I am to you for sharing your experience! You had the only solution to my stainless steel problem; I am sure of it! My boyfriend will be here on the 9th; I can’t wait for him to see the appliances! My guess is that he will think I hired someone because he knows I have tried so many things even before my all-nighter last night that finally ended up iwith success!!!!! I highly recommend this for anyone who has water spots of any kind on their appliances! If they were very bad like mine and end up leaving a hazy film; that also can be cleaned up very easily and quickly with some stainless steel polish and a soft rag! Just remember what everyone else says about going with the grain of the steel! I just wanted to pass along that WD-40 works great on my stainless steel fridge and dishwasher by GE. We had really bad hard water stains from the overflow leaking down the door from the water/ice cube dispenser and the WD-40 worked great. Some of the hard water stains on one side didn’t get clean the first time so I busted out the Apple Cider Vinegar and that worked great. Now, the fridge looks brand new and my wife can’t believe it. I found wd40 also worked the best! I was expecting some sort of recipe for a really good stainless steel cleaner. You put up an advertisement for Weimann … not well done of you at all. Anybody can make a list of the products out there. Takes a real do-it-yourselfer to come up with a non-commercial recipe. White Vinegar – apply directly to cloth and wipe in the direction of the grain of the stainless steel and clean with microfiber cloth. 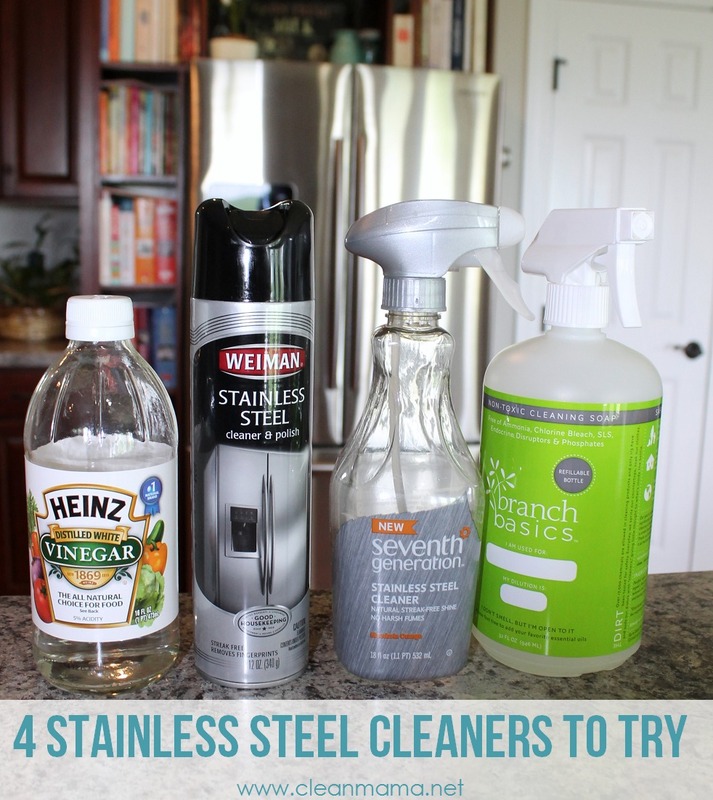 The subtitle of the post is “4 Stainless Steel Cleaners to Try” – I think that the post well done, sorry you disagree. I too las hoping for all DIY but the fact that there’s at least one DIY one in there is awesome! Anyway- there is no 1 miracle cleaner for ALL SS appliances!!!! Thanks Becky! Keep up the good work! I thought it was a great post also, thank you Becky !!! Don’t give up just yet. Try this easy to make cleaner. Mix baking soda with some dish washing detergent. You want the texture so that you can rub in on the appliance so don’t make it too pasty. It works wonders on those funny looking spots. I just tried this last week and was very happy. The spots are gone and the shine was amazing. You can put it all over the appliances and when you are done, wash it off with warm water until all the suds have been removed from the appliance. This takes a little time, but it’s worth it. When all the suds are gone, dry the appliance. Hi..I have tried so many cleaners on my stainless steel appliances as well. Come to find that Pledge all purpose wipes are great and even better… Windex with vinegar is the best (it comes that way… read the labels). It is great for everything in your kitchen especially granite tops so you don’t have to keep switching products!!! If your refrigerator has tiny rust spots, you can make a paste of baking soda and water and rub the paste on the spots with a soft cloth GOING WITH THE GRAIN, rinse well, then dry with another soft cloth. Worked for me. Good old fashion turtle wax..cleans, inexpensive,keeps fingerprints off and last forever. I have been using it for months..last for weeks. 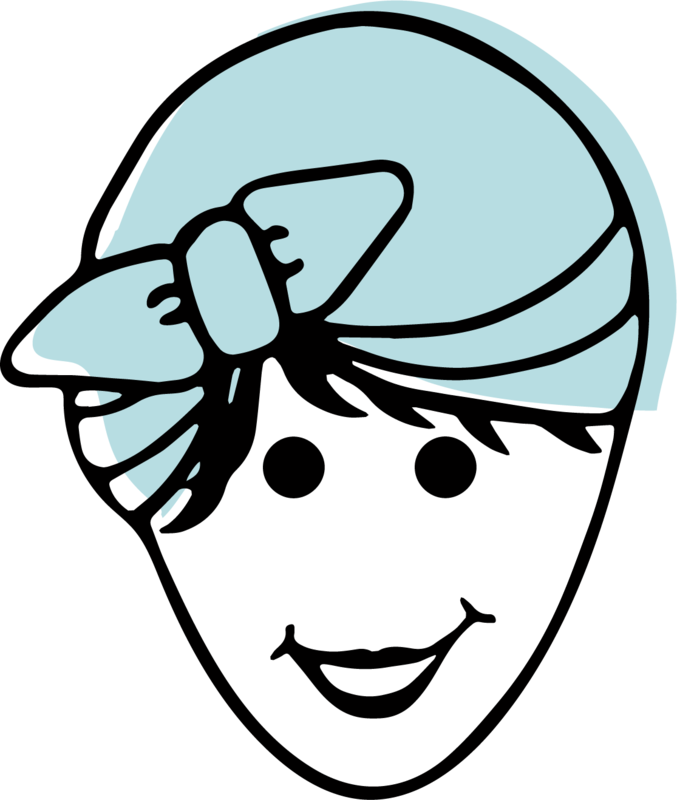 Love the VINEGAR… just used plain white Vinegar and it worked sooooo well, THANK YOU! I just love when I can use such inexpensive stuff for cleansing since we have to clean sooooooooo much, all the time, every time you turn around. You can get a large bottle of this at the dollar tree!!! I am looking forward to trying to find some wipes that are vinegar… maybe I will invent my own if not, just keep a microfiber cloth slightly drenched in vinegar sealed inside a baggie.. idk we”ll see. Just a quick note for those desperate enough to try glass cleaner: some manufacturers specifically state NOT to use glass cleaner or ammonia-based products on the stainless steel. Double-check your owner’s manual before using glass cleaner so you don’t become a very unhappy camper. Koko, you are correct ! My maytag says not to use vinegar and /or glass cleaner. (or ammonia)They say to use special ss wipes or warm soapy water and soft cloth. So after my delivery men left fingerpirnts today , I tried the Weiman wipes and then threw them out ! ( the wipes, not the deliverymen ) Theymade everything worse, streaks, etc. and I worked forever cleaning up the mess. Sop and water for me. and I will get some Casabela cloths. WD-40 works amazingly well! Put just a dab on a cloth and watch the magic happen!! I tried vinegar first and nothing changed. I decided to try the WD-40. WD-40 was amazing! My fridge had fingerprints and smudges that I couldn’t get off. I sprayed the WD-40 on a microsoft cloth and it looks brand new. I tried it on stove and had the same results. I will only use this on stainless steel appliances. WD-40 worked greatly on my Samsung stainless steel front! Just spray some on a small piece of cloth, wipe the entire external doors and buff with clean dry cloth. That’s it! Thanks for the magic! For stubborn spots on stainless try WD40. I had one on my refrigerator that would not come off. I had tried everything. Hot water with soap, stainless steel cleaners, even my steam machine which usually does the job but nothing worked. I contacted the manufacturer and they told me to use WD40. Thanks for the tips ladies. I own the fridge in the photo and its a pain trying to find what really works to get that beautiful shine. Try this. Mix baking soda with some dish washing detergent. You want the texture so that you can rub in on the appliance so don’t make it too pasty. It works wonders on those funny looking spots. I just tried this last week and was very happy. The spots are gone and the shine was amazing. You can put it all over the appliances and when you are done, wash it off with warm water until all the suds have been removed from the appliance. This takes a little time, but it’s worth it. When all the suds are gone, dry the appliance. Email me and let me know if this worked for you. When I purchased my SS appliances a few years ago, the salesman from Lowe’s said they use Lemon Pledge to keep the models on the showroom floor looking nice. I love the way it makes them look – just be sure not to spray above your wood floor – unless you like to ice skate in your kitchen! Spray it on the microfiber cloth over the sink! I also use pledge and it works great. Only I use the Orange clean kind. But they really work the same I just love the smell of the citrus. I have a problem with my new Jenn Air pro range. I had the appliance delivered 6 months before it was used. During that time, the range sat in our family room with the original delivery tape on it. Now that the remodel is finished and the tape came off, I cleaned the front panels on the doors, but I noticed a change of color where the tape was attached to hold the doors shut. Sears showed up to look and they said the cosmetic (30 day warranty) was over. Anyway, has anyone had this same situation where the packing tape left marks on the stainless?….it is not sticky stuff that is left on the doors and sides. It is discoloration……maybe it is oxidation…I don’t know what it is. If you have had this problem, can you tell me what resolved the issue? I have learned a lesson in that an appliance should have the packing materials taken off quickly after delivery. We cleaned similar discoloration by rubbing dry baking soda and then scrubbing with microfiber cloth and white vinegar. The volatile action helps get in the drain where some remaining film has been embedded. I had a very similar problem on my LG refrigerator. Try white vinegar and polish with the grain. It came off perfectly. Thank you for the vinegar idea. I have used it on my stainless cookware, but never thought to use it on my appliances. It worked wonderfully. Here’s a little trick that seems to work even better. Put the white vinegar in a bowl and microwave it until it’s warm. I swear the cleaning power is intensified. The heat helps lift and loosen the built up grime. Thanks again!! Do you dilute the vinegar? Do you rinse it afterwards? I use a barely damp cloth and don’t dilute the vinegar and I don’t rinse. A litle WD-40 on a soft, white cloth (and rubbing in the direction of the stainless grain) worked wonders for my Samsung range and dishwasher. The fridge, fortunately, is stainless “look,” so even water gets it clean. To heck with HGTV; my next kitchen will NOT have stainless. Thanks, gals! Does anyone know what to do or use when your stainless steel refrigerator is scratched? There is a new product that I just found at Home Depot. It’s made by rejuvenate. It’s quite the process but removed the marks where my mother attempted to clean my stainless steel dishwasher with a Brillo pad. It was around $6 for the kit.. I have been using Branch Basics with success! Try baby oil! Works well. So I have to ask which product worked the best on the fridge? I have the same one, LOL! I have both a stainles steel fridge and one of those shiny black smooth finish fridges. My dishwasher is also that shiny black finish. Any suggestions for gettng water stains off that finish? Or would these techniques work on that also? Very frustrating b/c the black surface seems to show the stains as much if not worse than the stainless. Sometimes I wonder if it’s the fabric softener on my cloth that is giving me more trouble than the type of cleaner I am using. I’ll have to look into that one a little more. Any thoughts? What?! Norwex Enviro Cloth and Window Cloth didn’t make the list?! Just dampen the Enviro, wipe down the appliance and polish it with the Window Cloth! Plus it also cleans windows, mirrors, glass tabletops, etc! I Need Help , Removing Burned Sticky Plastic On My Iron I Don’t Want To Ruin Iron Very Expensive . The Bottom Is Stainless Steal .Thanks For Any Help You Can Give Me . I forget where I read this. But I clean my stainless with cream of tartar. I put it on a damp cloth, wipe with the grain, then buff with a dry cloth. It’s awesome, natural, & easy. I know this a bit of an old thread, but have been looking for something for years to clean my stainless appliances and have finally found the best. I bought a can of Steel Meister at Home Depot on the recommendation of one the people who work in the appliance department that clean their display appliances with it. Works like a better, and lasts longer than anything I have ever seen! I have tried Steel Meister as well and can honestly say it’s the best cleaner I have found on the market. I too had it recommended to me by someone in the appliance department at Home Depot. It was a little expensive but lasts a really long time. I have had the same can for almost a year! I tried vinegar and left spots, then I used olive oil and worked great. I have a slightly different problem with my kenmore stainless French door fridge. What I thought were smudges and steaks are really spots where the finish has either changed or removed. It is a lighter color or shade of stainless. If there is a way to even out the finish I would be a happy camper! Anyone else experienced this or have any suggestions?? I thought I’d share what worked for our 2 week old dishwasher that looked like we’ve had it for years. It was water and soap streaked, and we could not get the stains off with numerous cleanings with a wet dishtowel. Ugly. What did work was to clean the front with a soft, soapy dishcloth (no sponges per the Bosch manual). Wipe off the residue and let it dry for a few minutes. Then apply a thin coat of mineral oil and buff off any excess. I didn’t have any excess to wipe off since I used it sparingly on a paper towel. Doing this did not leave any oily residue. It also seems to be fingerprint resistant but I’ll need to check that out over the next few days. But right now touching the front didn’t leave any prints at all. Easy with no harsh chemicals. Endust (the multi surface one (or the original dusting one), not the stainless steel one) works amazingly easily and well. I don’t even have to go with the grain to get it looking good. I do not recommend using olive oil. I used it and it left a waxy kind of film that I couldn’t even rub off. I had to scrub it off using stainless steel polish which I will stick to. I have the same Samsung fridge in the picture. What did you use on it? That fridge is a magnet for finger prints. I have Bosch stainless appliances and use the Norwex cloth with water – works great. Before I discovered Norwex I used a microfiber cloth with automotive spray window cleaner (no ammonia) which worked well too. I have to report that I had such bad water marks on my dishwasher that NOTHING helped – not vinegar, window cleaner, Weiman’s stainless steel cleaner (I swear that almost made it look WORSE! ), nothing!! I just went out and purchased the top three recommended (according to blogs) products to clean and polish stainless steel kitchen appliances. I started with the least expensive ($1.46) Bar Keeper’s Friend from Home Depot so that I could return the other two if Bar Keeper’s Friend won the stainless steel clean and polish contest. AND IT DID!!!!!!!!! I was singing and dancing all over the kitchen. It did an absolutely beautiful job!!! This was after anguishing over this problem for approx. six years. The other two products cost $9.99 and $5.49. Spread the word!!!! I was so happy!! I guess that I never took the bull by the horns like I did this time. I’ve spent hours trying to perfect the job. No More!!!! YEAH!!!! I also have little discoloration spots on the lower half of my fridge. I’m wondering if its from the swiffer spray while cleaning the floor. Anyone else notice this? Thanks for the tips. I’m house sitting for a friend this week and would love to surprise her with a clean kitchen and shiny appliances. I will say, reading this feed makes me happy I chose white appliances! Lol Good to you all and happy cleaning! There is an old product by Johnson & Johnson called “Jubilee” that is available I found out through their website. It works fabulous on any surface that can shine in your home. Especially appliances (stainless steel or colored). Also on tile. This was my favorite job growing up as the product does all the work getting rid of greasey handprints and all. You spray it on let it dry, and just wipe it off! No elbow grease needed. I can’t seem to find it on the grocers shelves in CA any longer. Maybe it can be found in your neighborhood. Or order it on line anytime. I use rubbing alcohol in a spray bottle on mist. Works great and leaves no residue. I have Kenmore elite appliances. Yes, it’s my Samsung refrigerator 🙂 Everything that I listed works on the appliance – I’ve also recently tried Williams-Sonoma Stainless Steel cleaner and that works well too! I have the exact same Samsung and have only used Weiman spray on it to date — but there are spots appearing recently that appear to be a loss of shine ? ?What do you suggest for those areas?? WD-40, vinegar, Barkeepers?? It makes me wonder if you have a build up on there and need to get that off first? I would try vinegar on a microfiber cloth (not sprayed directly on the ‘fridge). Buff and wipe and repeat if necessary. See if that takes care of the loss of shine and if that doesn’t work, maybe contact Samsung and see what they suggest. My concern with Pledge, Endust, etc is build up over time. The appliance may look great when you first use it, but after a while there has got to be some build up the way it happens on wood furniture. Then what??? I can’t believe nobody else listed lemon oil. Fabulous on stainless! Yikes! Every cleaner says use a soft cloth. I have food stains, baked on front and other stains. I wiped and wiped with a good cleaner and it simply will not take that off, guess it’s baked on. One site said use a “nylon scrubbie”, but I’m not sure what that is, unless it’s the kind with the thicker nylon strings formed together. I used a nylon pad, but it left marks. Sigh. Maybe a past would work ?? Put water on a cloth and lay it over the food and let it sit for 15-30 minutes to soften it. Then wipe it up with your soft cloth. Does anyone know if I can get rid of discoloration spots caused by overspray of a cleaning product? What can I use to clean Samsung black stainless appliances? Microfiber cloths left scratches in the finish…apparently a black coating over the stainless. I love the look of the new black stainless, but I think it’s a more sensitive finish than plain stainless. Oh no! I guess I’d try a soft 100% cotton cloth and just start trying different cleaners until you find one that works. What does Samsung recommend? Always looking for good cleaning tips! Thanks for sharing! I use pledge or endust! Works like a charm!! And smells great too!! I need to know how to clean a stainless steel mircowave. It has alot of baked on tomato sauce & its so deep I cant really reach the back. This is all over top sides everywhere. They have a cover I guess for show. Ive tried everything I thought ;it’s the same job every wk. Thanks for this info! We have what appears to be the same Samsung fridge as the one in your photo. All our kitchen appliances are Samsung SS, purchased at the same time in 2016, so I would love to know which cleaner you’ve found to be best for your Samsung fridge. I use lemon oil on my stainless steel appliances. It helps keep the smudges away for a couple weeks at a time. It needs to be applied with the grain like the others talkes about. Good luck! The packing tape to secure the oven and drawer on the new range left a residue which did not wash off. I tried the olive oil suggestion, working with the grain of the stainless and it works. Great to find a new use for something already on hand!